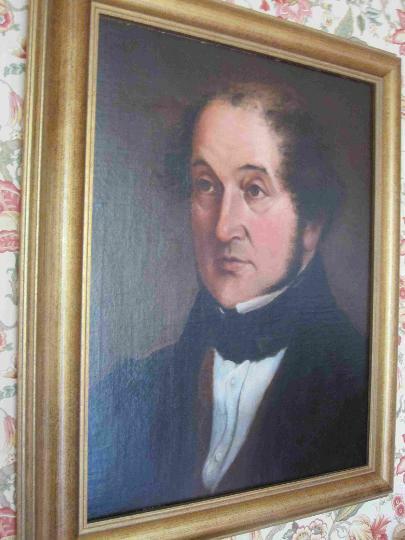 Left: A portrait believed to be that of John Caunter of Waye, Ashburton, a merchant and sergemaker who died in 1825. For more on the Caunter family, see their section under People and properties. Many thanks to the owner of this painting, who wishes to remain anonymous.